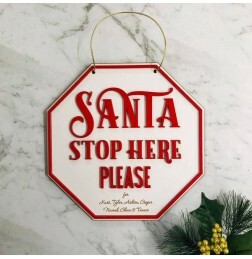 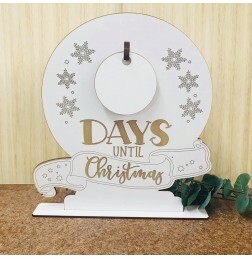 SANTA STOP HERE PLEASE CUSTOMISED PLAQUE Plaque measures 25cm in diameter and comes with whitefac..
MERRY CHRISTMAS 300mm wide in 3mm raw MDF. 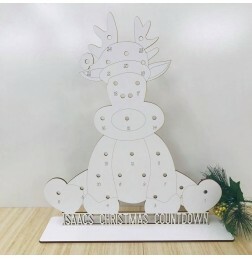 ..
CUSTOMISED BABY'S FIRST CHRISTMAS BAUBLE DECORATION 100mm round with customised name cu..
JINGLE ALL THE WAY CAKE TOPPER 15cm wide ..
CUSTOMISED REINDEER ADVENT CALENDAR Made from 3mm white faced mdf. 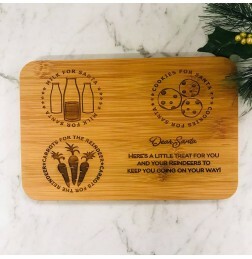 Can be made from raw mdf..
MINI COOKIES AND MILK FOR SANTA BOARD - CH024 Bamboo board measuring 23cm wide by 15cm tall x 1cm.. 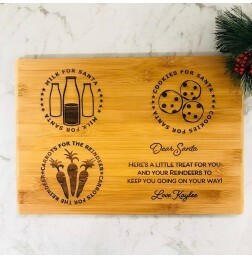 COOKIES AND MILK FOR SANTA BOARD - CH023 Bamboo cutting board measuring 33cm wide by 22cm tall.La..
DAYS UNTIL CHRISTMAS SNOWGLOBE STAND This comes in two sizes. 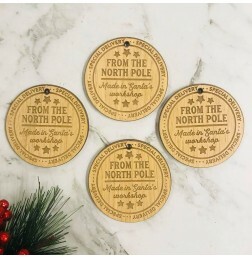 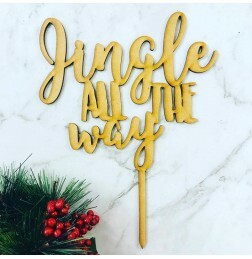 Small stands at 28cm tall and..
PERSONALISED CHRISTMAS AT THE (FAMILY) NAME WITH CHRISTMAS TRAIN STAND 400mm wideby 200mm high in..
PERSONALISED CHRISTMAS AT THE (FAMILY) NAME WITH CHRISTMAS TREES STAND 300mm wideby 260mm high in..
SPECIAL DELIVERY FROM SANTA'S WORKSHOP TAGS Set of 4 tags 50mm diameter in 3mm MDF. 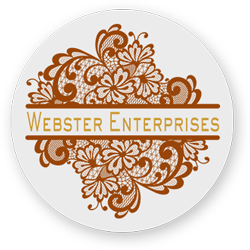 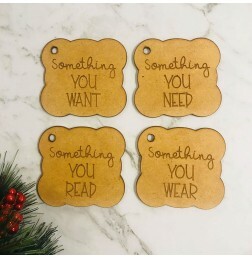 ..
SOMETHING YOU NEED, WANT, READ & WEAR TAGS 65mm x 60mm in 3mm MDF. 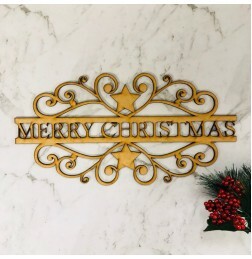 Option available to..
SCROLLY STAR MERRY CHRISTMAS DOOR OR WALL PLAQUE 300mm wide in 3mm MDF. 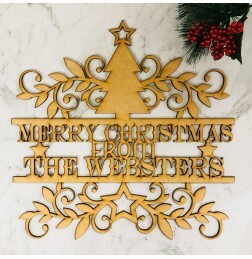 Option avai..
PERSONALISED STAR & HOLLY CHRISTMAS DOOR OR WALL PLAQUE 300mm wide in 3mm MDF. 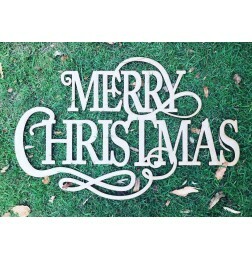 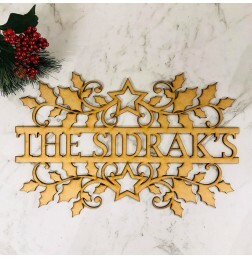 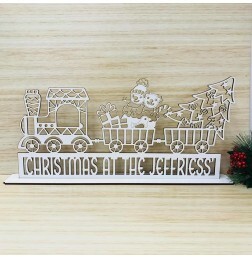 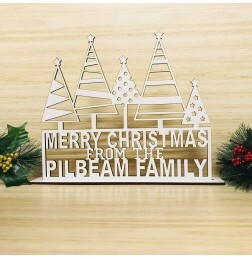 ..
PERSONALISED MERRY CHRISTMAS DOOR OR WALL PLAQUE 300mm wide in 3mm MDF. 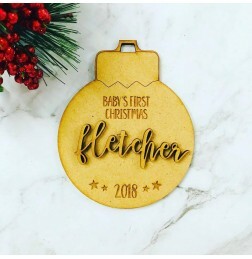 Personalise..